Wednesday 5th February 2014 saw the Duke of York visit Maidstone Museum & Bentlif Art Gallery to support Kick Start Kent campaign encouraging businesses to hire an apprentice. 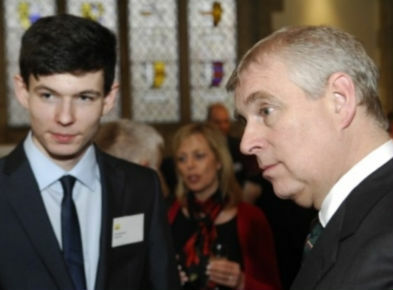 The Duke of York put his weight behind a KM Group campaign to get businesses to take on apprentices. Enjoying a lunch served within our Bentlif Library Prince Andrew met firms from across the county in support of Kick Start Kent, which aims to get 50 companies to take on an apprentice within the year. Drinks and canapés were served within our Brenchley Café as HRH met with employers and young people who have benefited from apprenticeships. He told the assembled guests: “We have got to give young people the skills to carry on where we have left off. It is more about legacy. To accommodate this event our Bentlif Library was laid out in a solid square to accommodate 22 for a buffet lunch. This stunning room, created in 1890, with large leaded light windows, mahogany bookcases and a beautiful stone fireplace can be adapted to accommodate most layouts. Our Brenchley Café is a beautiful and versatile grand hall built in 1873 with a vaulted ceiling complete with decorated bosses, arched columns and large stained glass windows. Used for this event, for a canapé and drinks reception, it has excellent acoustics which make it an ideal place for presentations and music concerts.